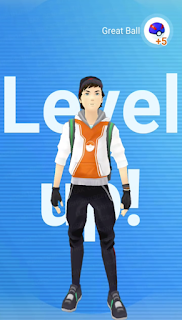 In Pokémon Go, Trainers have the ability to gain Experience Points (XP) and Level Up. When a Trainer Levels Up he or she will become stronger. The higher the Trainer Level of a player, the easier it becomes capturing high CP Pokémon. Gaining enough XP will automatically result in a Level increase. 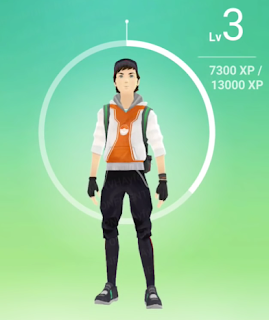 That Level will be shown next to the Trainer's profile picture at the bottom of the screen. In the early stages of the game (Levels 1 - 5) Leveling Up does not require much XP. However, as you progress through the later stages of the game, Leveling Up will progressively require more XP. To Level Up quickly, focus on gaining experience points efficiently while reducing idle time such as traveling, checking inventory, Pokémon, Pokédex, etc.). Being that bonus XP is awarded for capturing new Pokémon, be sure to keep track of which Pokémon you have captured and which ones you still need. The new capture bonus also works for hatching Eggs and Evolving Pokémon. 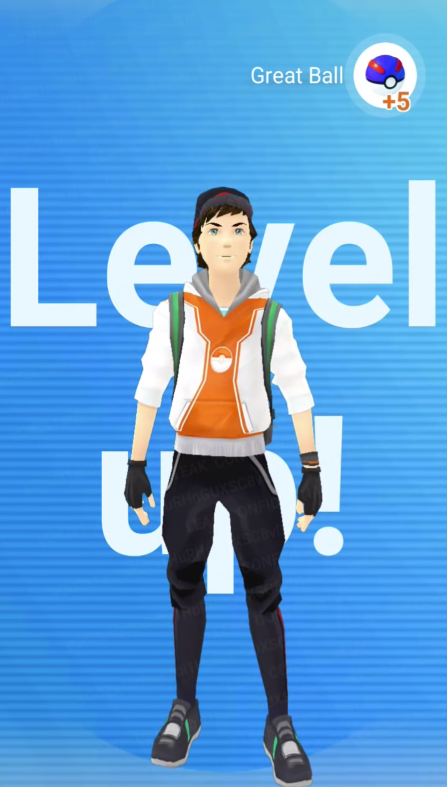 Leveling Up not only enables players to capture better Pokémon, each Level Up may also result in Item rewards (depending on the specific level reached). For example, reaching a certain level may reward a player with Great Balls, Ultra Balls or even a Master Ball! Keep leveling up to earn those free rewards. - Ultimately, higher level players will have stronger teams of Pokémon, and subsequently perform better when Battling at Gyms. - Higher Level players will have better Pokémon that will be able to defend friendly Gyms for longer periods of time. - Pokémon with higher CP levels can be found more often in the wild. You get 40 Ultra Balls, 40 Max Potions, 40 Max Revives, 40 Razz Berries, 4 Incenses, 4 Lucky Eggs, 4 Egg Incubators, and 4 Lure Modules when you reach level 40.